Tricia looks beautiful in this muted palette of green and brown. She works at Intermix in Bucktown and is wearing a Gryphon coat, layered over a Georgie Jacket from Intermix, Stuart Weitzman boots, and Chloe bag. 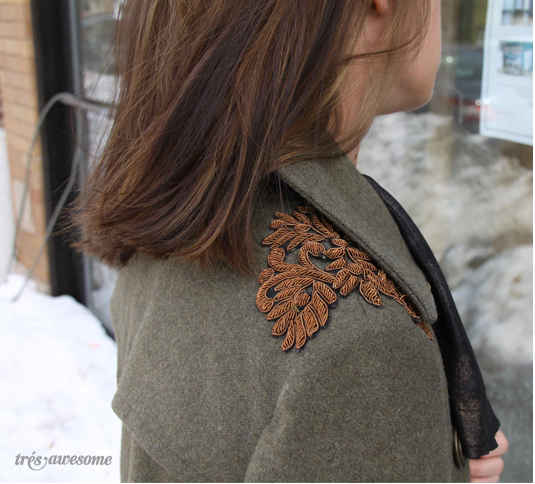 The detailing on the shoulders of this Gryphon coat is stunningly beautiful and reminds me of the Torah cover in the synagogue where I had my Bat Mitzvah.